Excelerate Energy (Excelerate) announced today that it has executed a Letter of Intent (LOI) with Daewoo Shipbuilding and Marine Engineering (DSME) for the delivery of up to seven floating storage and regasification units (FSRUs). The LOI gives Excelerate the ability to order one FSRU in the second quarter 2017. As the world's largest operator of regasification vessels and developer of LNG import solutions, the agreement affords Excelerate the ability to respond to increasing market demand for natural gas as its existing fleet of nine FSRUs become committed to long-term projects. 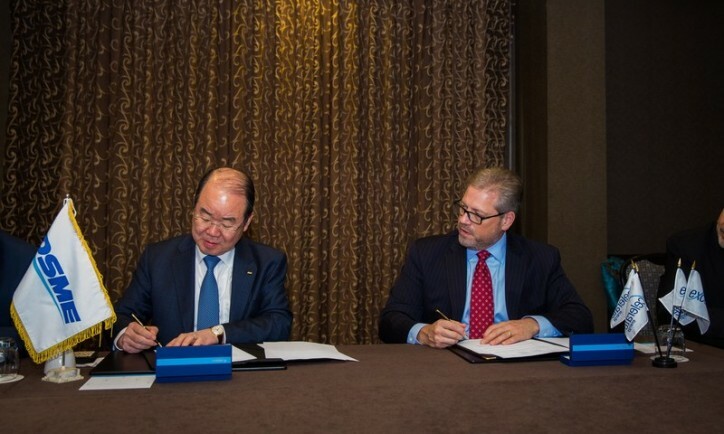 DSME CEO Sung Leep Jung and Excelerate CEO Rob Bryngelson signing agreement for seven FSRUs. The initial specifications are for 173,400 m3 LNG FSRUs with a baseload send-out capacity of 1.0 Bcf/d, but can be modified to suit specific project needs. These vessels will incorporate Excelerate's proven technologies and industry leading experience, and will represent the most capable and fuel efficient FSRUs in the industry. Excelerate partnered with DSME on its existing fleet of FSRUs, including the industry's first regasification vessel the Excelsior, which have proven to be to be versatile in diverse environments around the world. 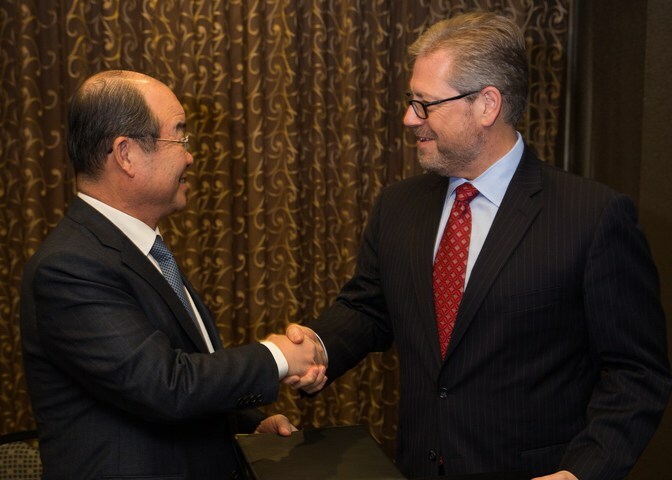 DSME CEO Sung Leep Jung and Excelerate CEO Rob Bryngelson at the signing of the agreement for seven FSRUs.